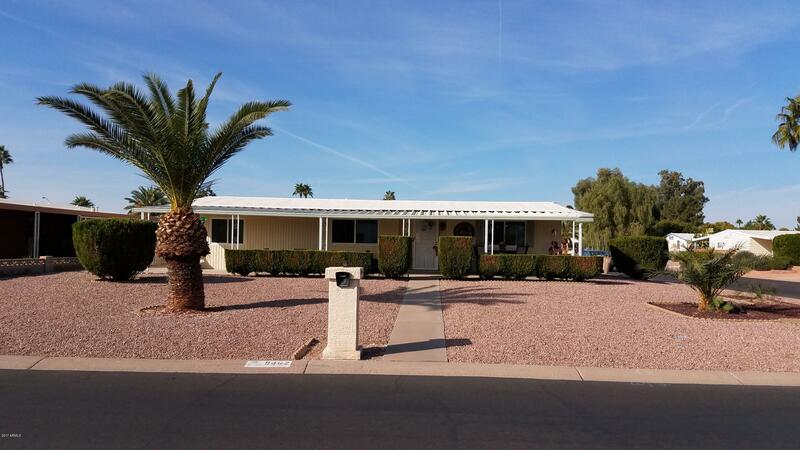 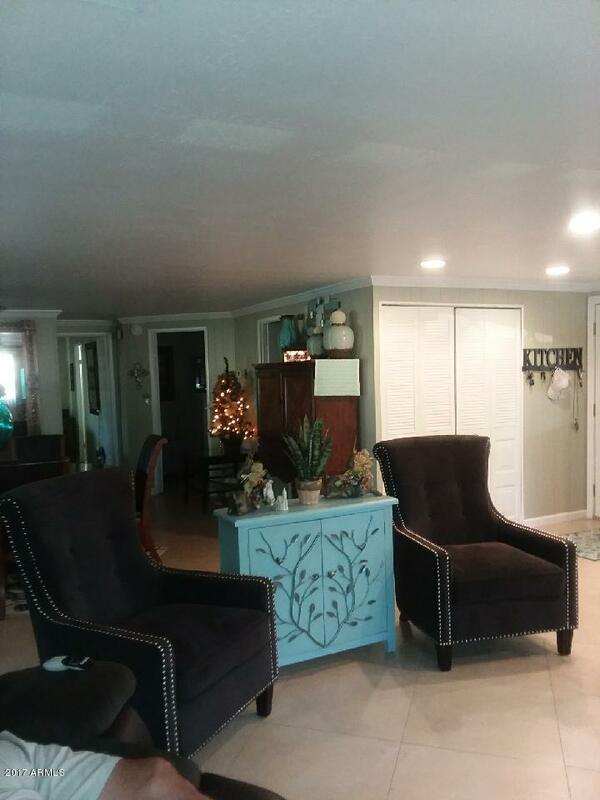 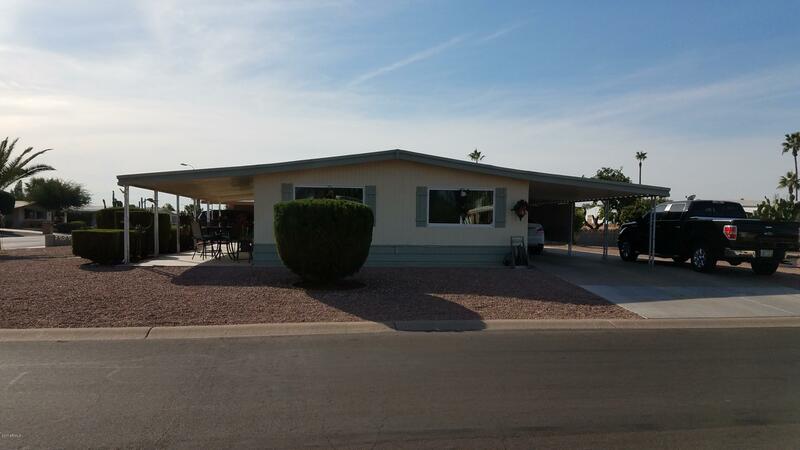 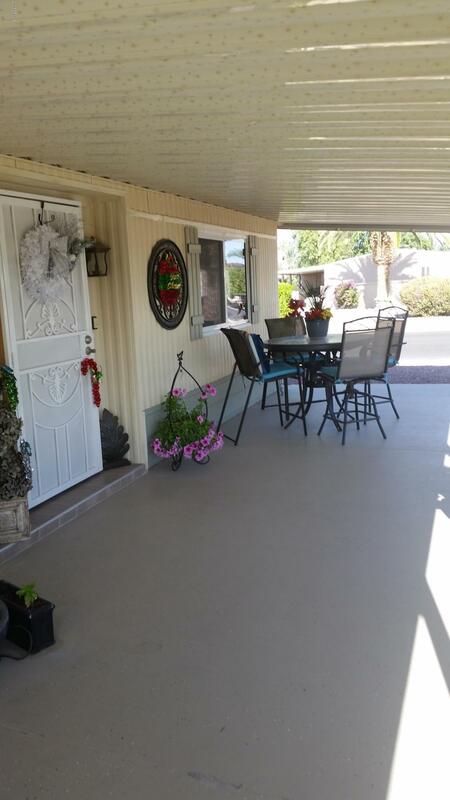 This is the cutest, newly remodeled manufactured home in Sun Lakes, sitting on a very large corner lot. 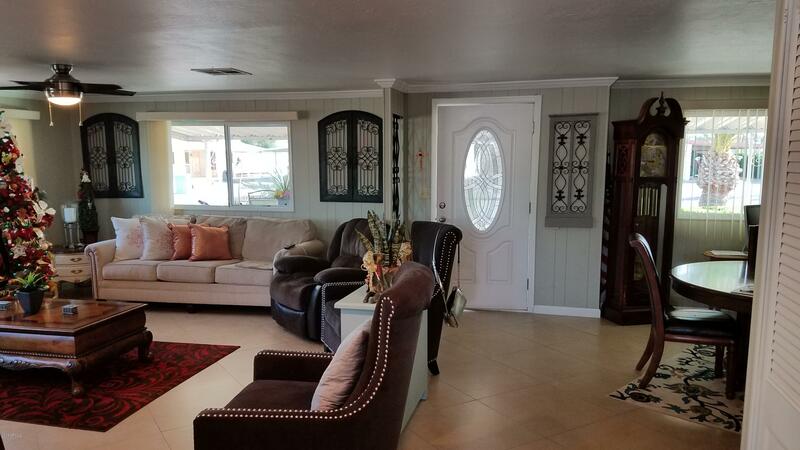 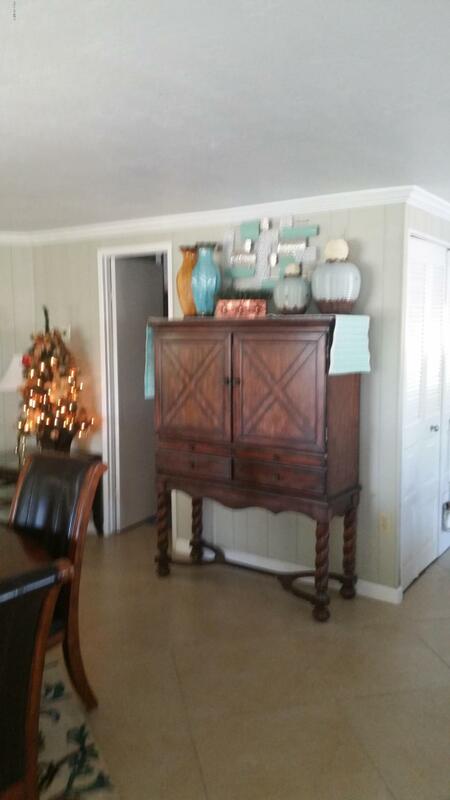 As you step into the front door you feel like you're in a new, open floor plan cottage. 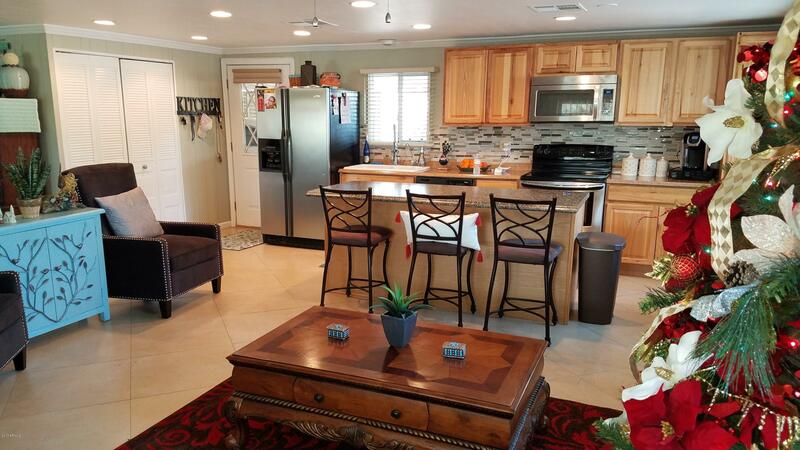 It has a large living room and dining room open to the kitchen. 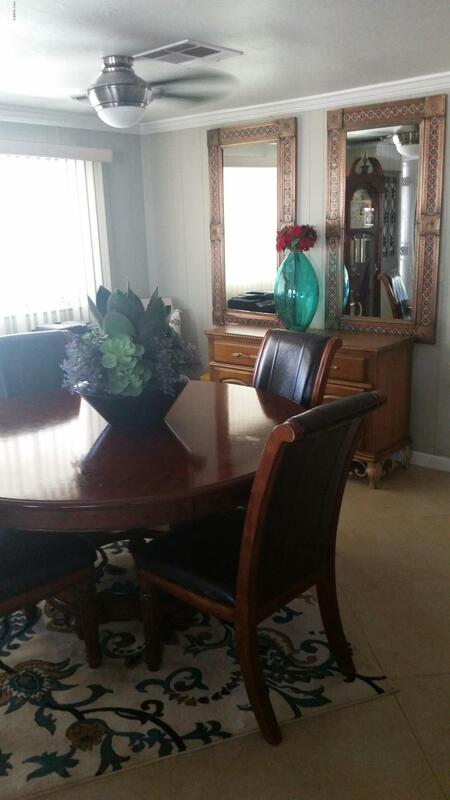 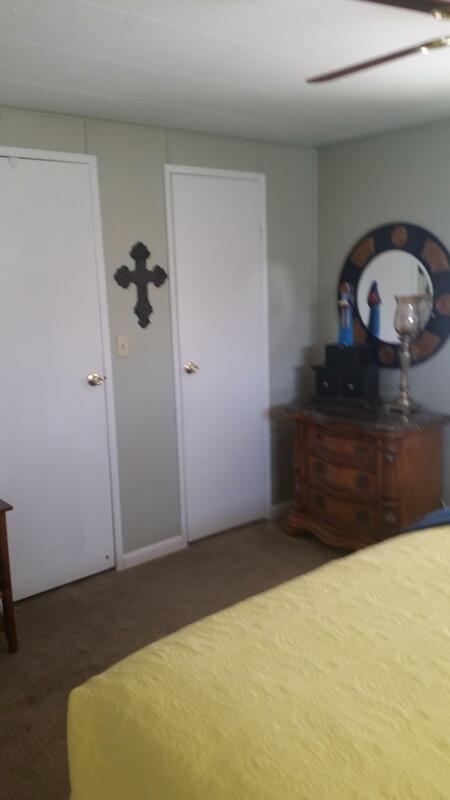 Large tile throughout except in the bedrooms where there is carpet. 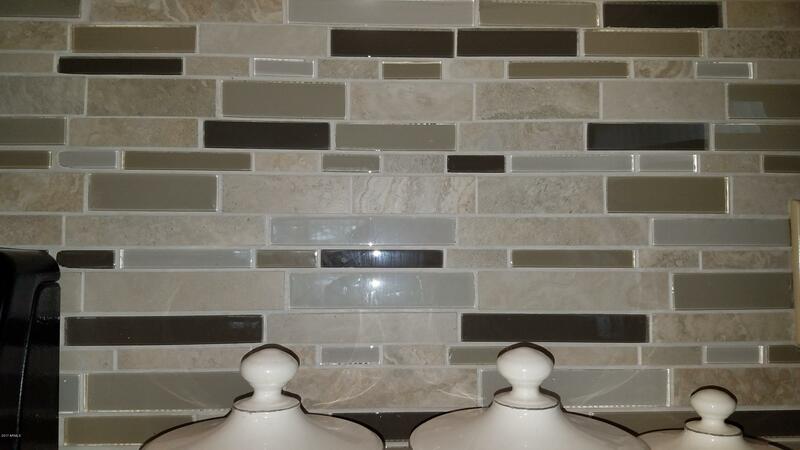 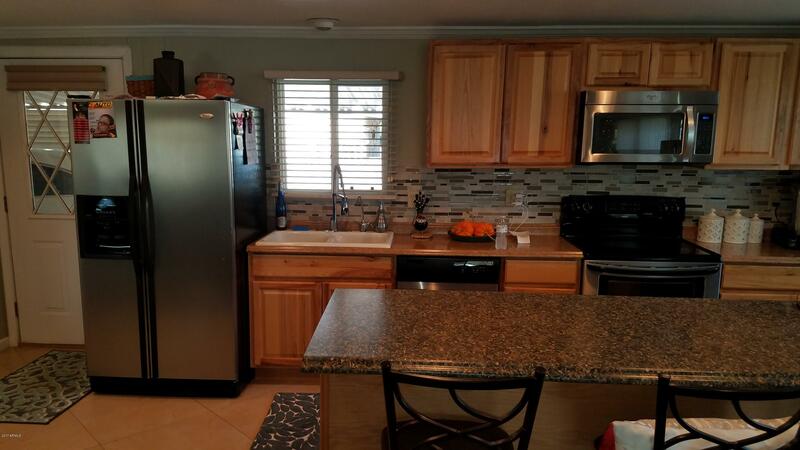 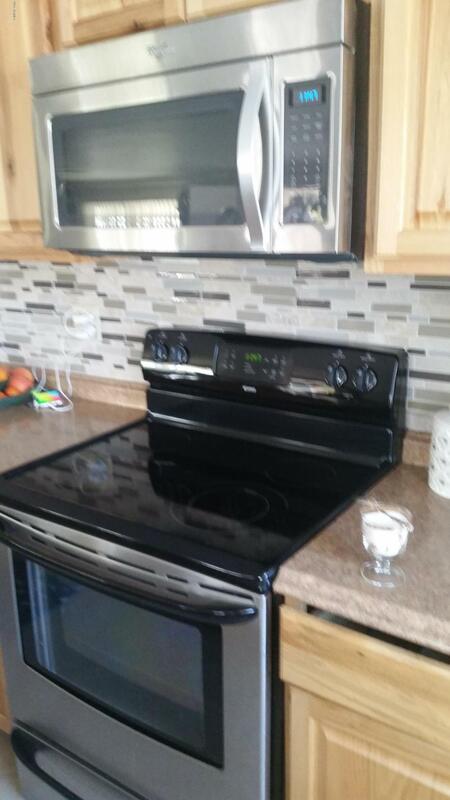 The kitchen is absolutely beautiful with newer cabinets, counter tops and back splash in stylish small tile look. 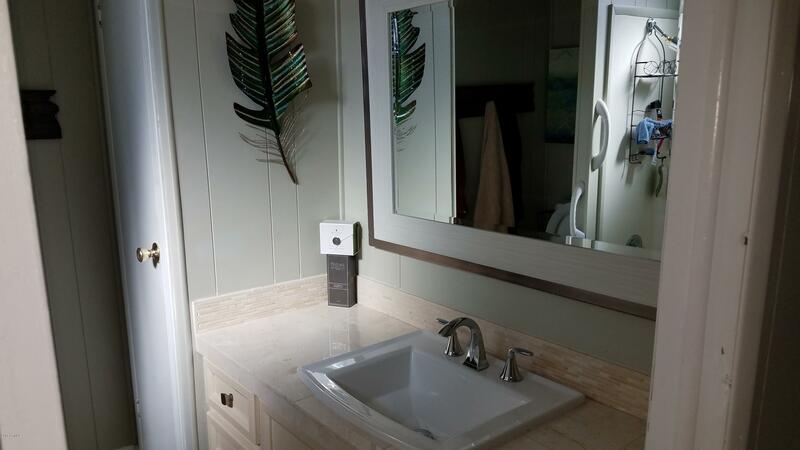 Bathrooms have new counter tops done in 2017. 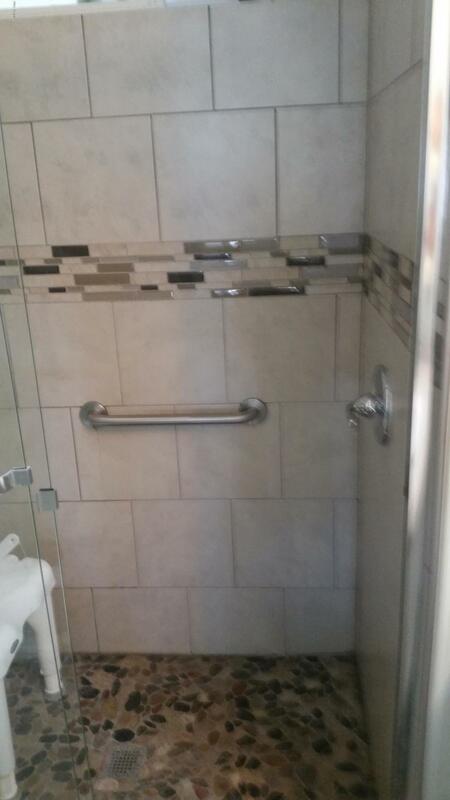 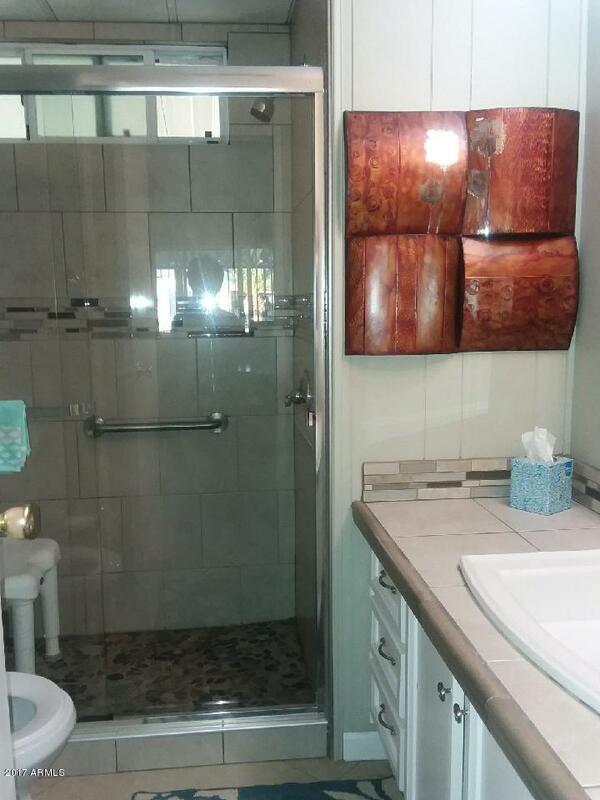 Guest bath has an updated shower with tile in new-style pattern. 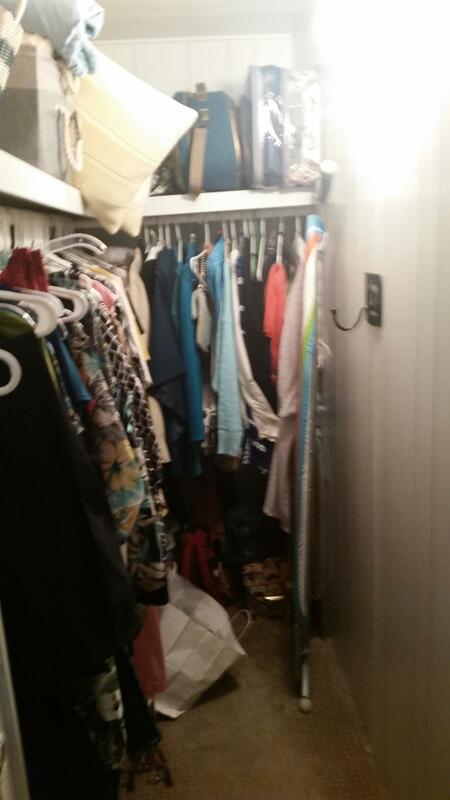 there are walk-in closets in both bedrooms. 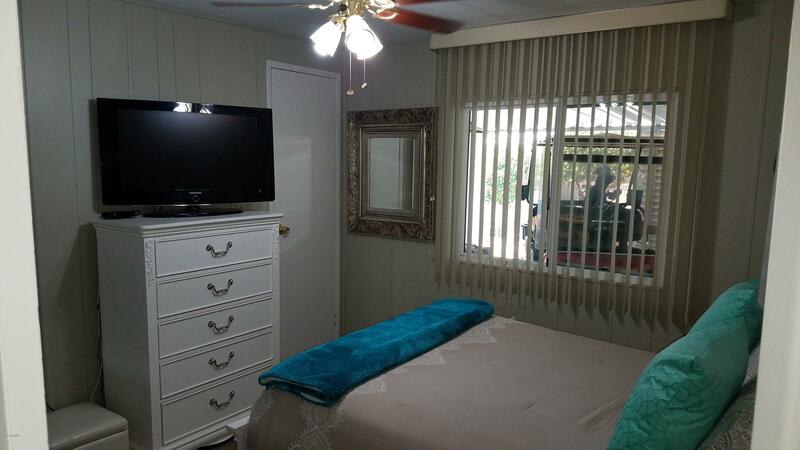 There is also a storage shed by the carport. 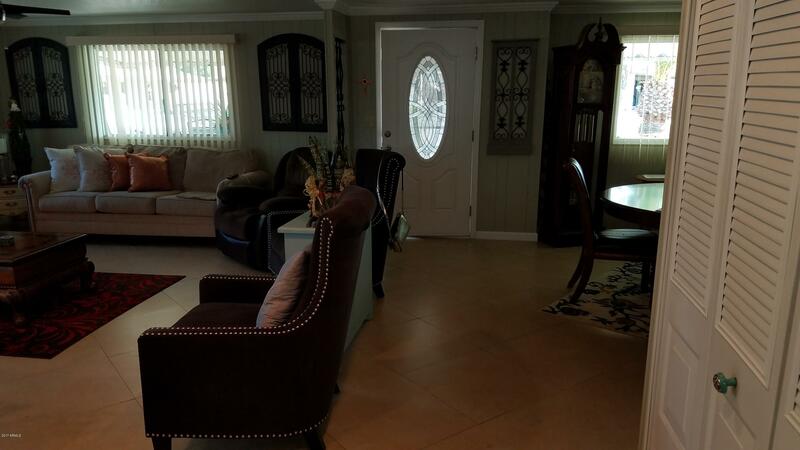 Look at this home and you will want it to be yours. 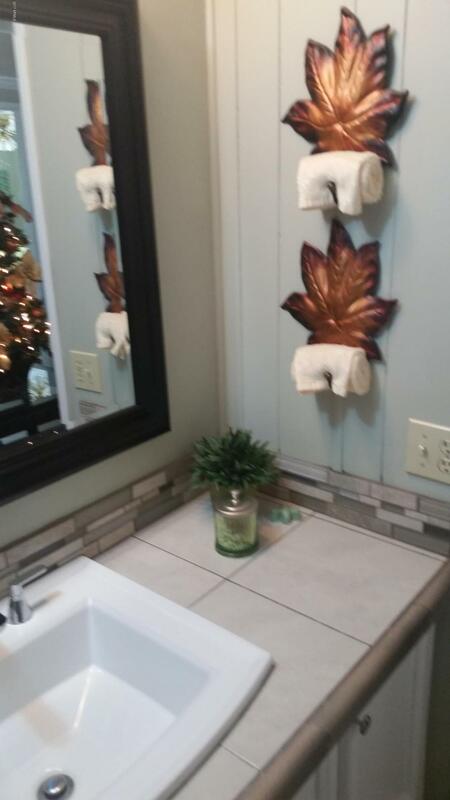 It's hard to describe how lovely it is. 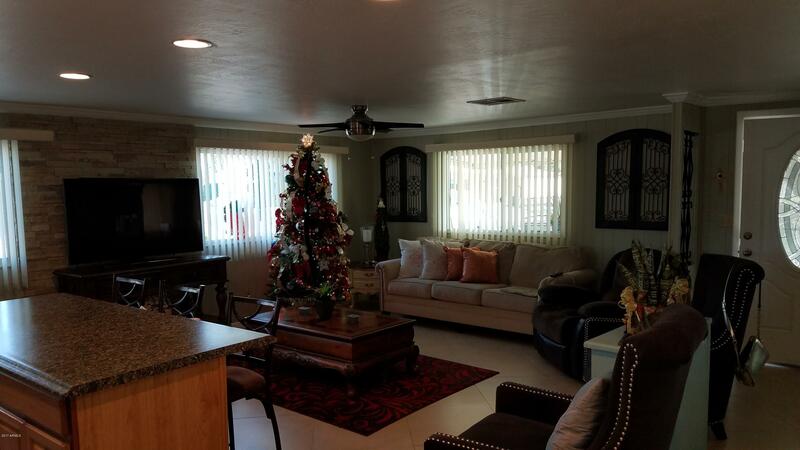 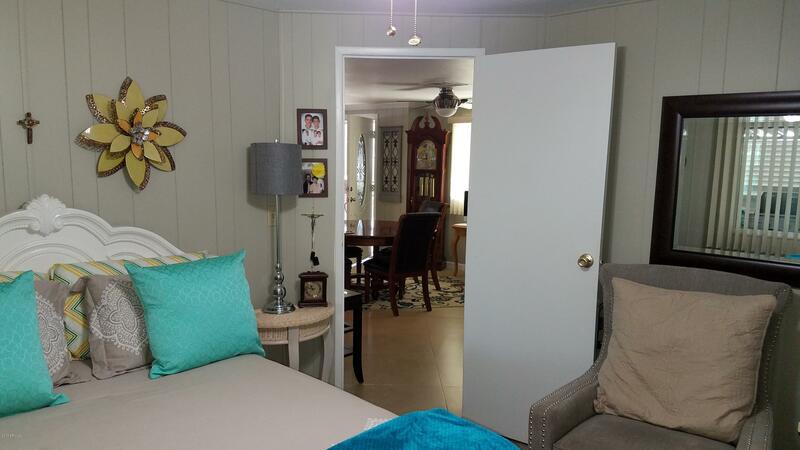 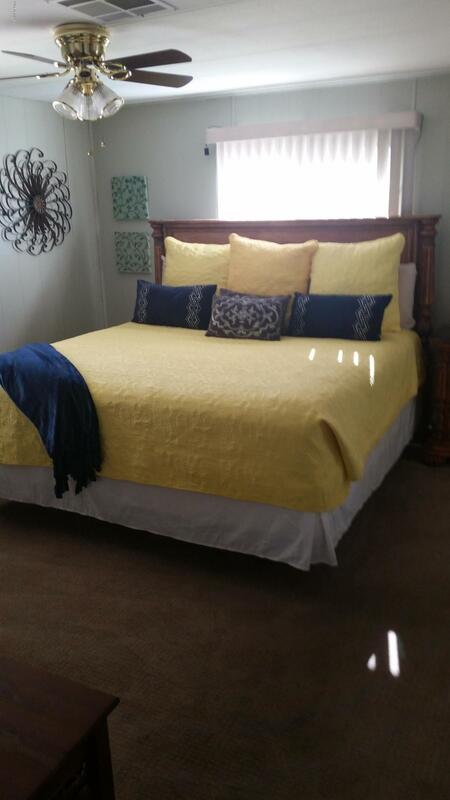 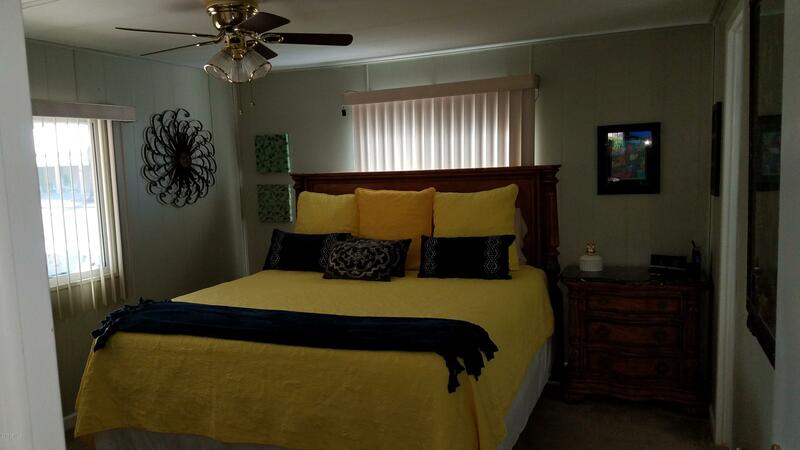 This is an adult resort style living with golf course & activities.